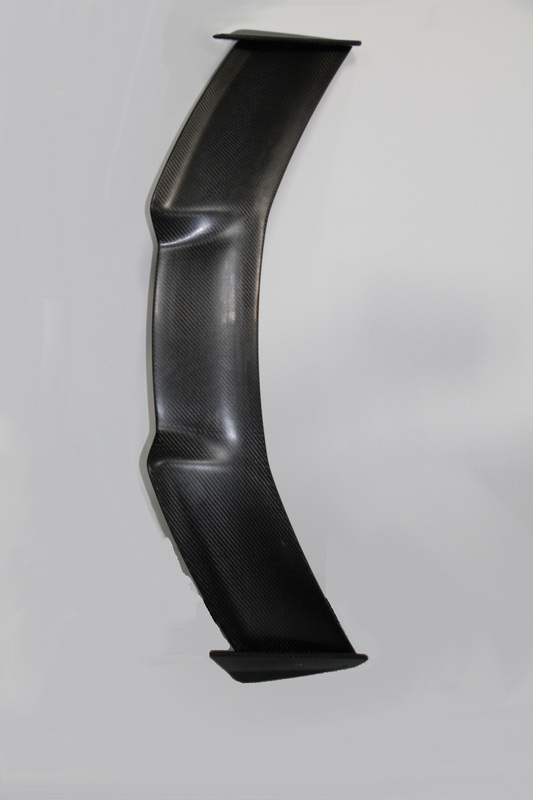 This is the latest version (EVO3) of our JUBU-Performance carbon front splitter for the Lotus Exige V6. The design is based on the Porsche 997 Gt3 RSR. We have modified the dimensions and ramps and create a complete new part. 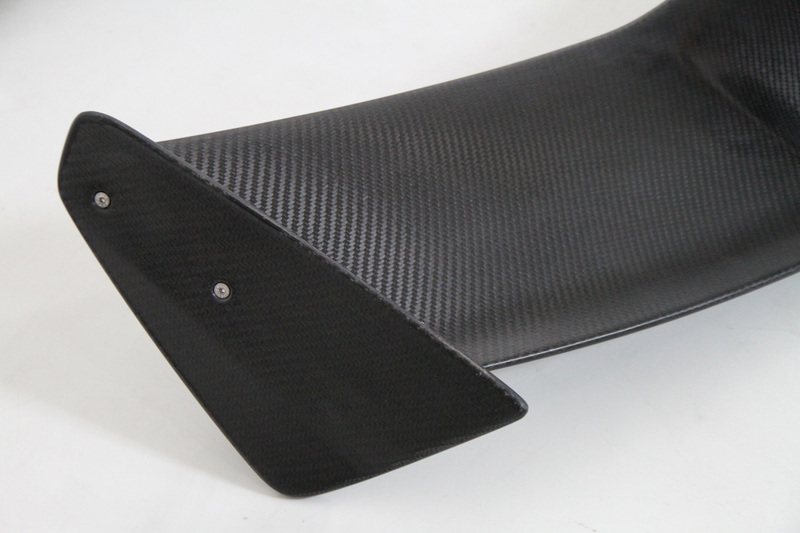 The front splitter is built for racing applications to reduce the understeer at the front axle and increase the downforce.But you can also use it at trackday/streetcar. 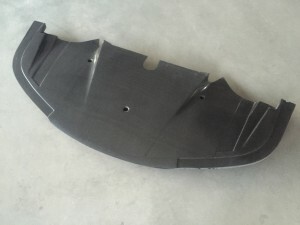 We must finish the mould and after that we can produce parts for sale. 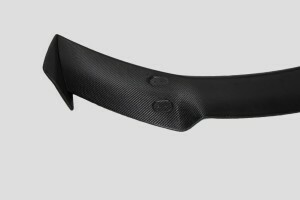 If you have any questions about our carbon fibre frontsplitter please send us a email or give us a call! This is our 500 HP package for the Lotus Exige V6 or Evora. We use our own charge cooling system like our Exige 460 V6 version with some modifications. 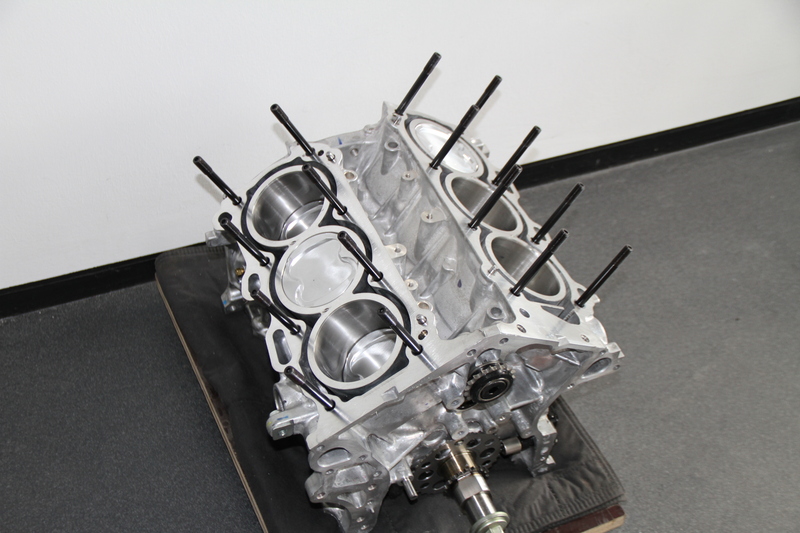 We reinforce the complete engine block (steel rods, forged pistons, upgrade bearings, upgrade head bolts and some other modifications. 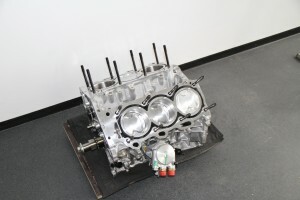 The heads are getting new camshafts with stronger valve springs and retainers. 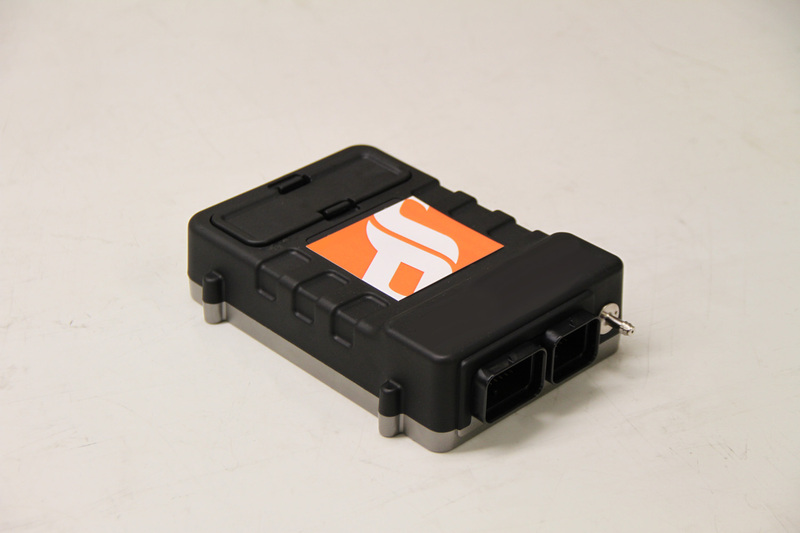 We use our own free programmable ECU package for mapping the engine. 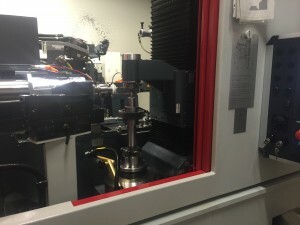 The Video from the Dynotest can you see here! 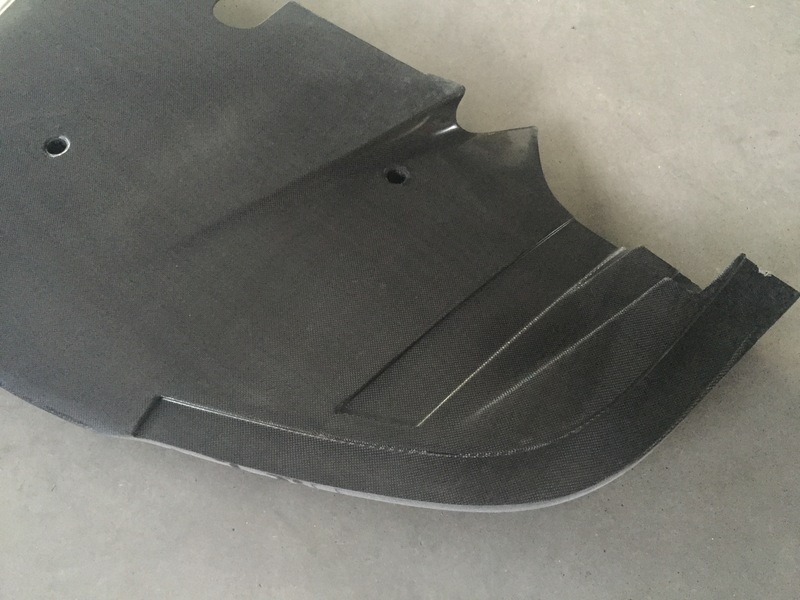 More information can you find at our webpage or at our development and innovations blog! 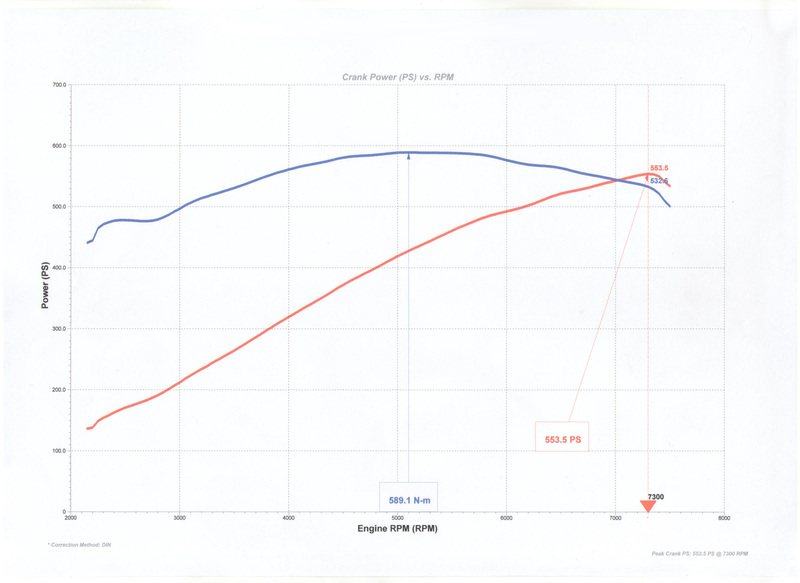 Good news for all power junkies: the next V6 power upgrade is still under development – STAY TUNED! 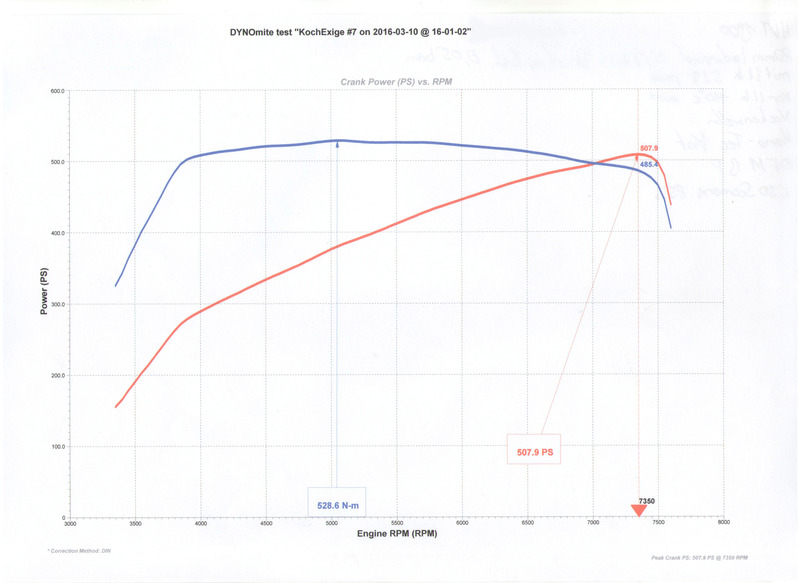 This is the dynosheet from our testing vehicle 554hp and 590NM. 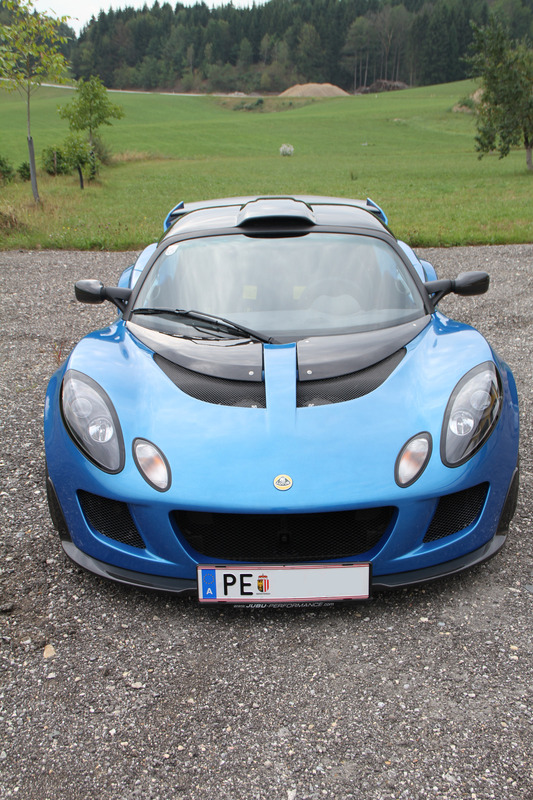 The Exige V6/Evora 550 power upgrade is still under development. 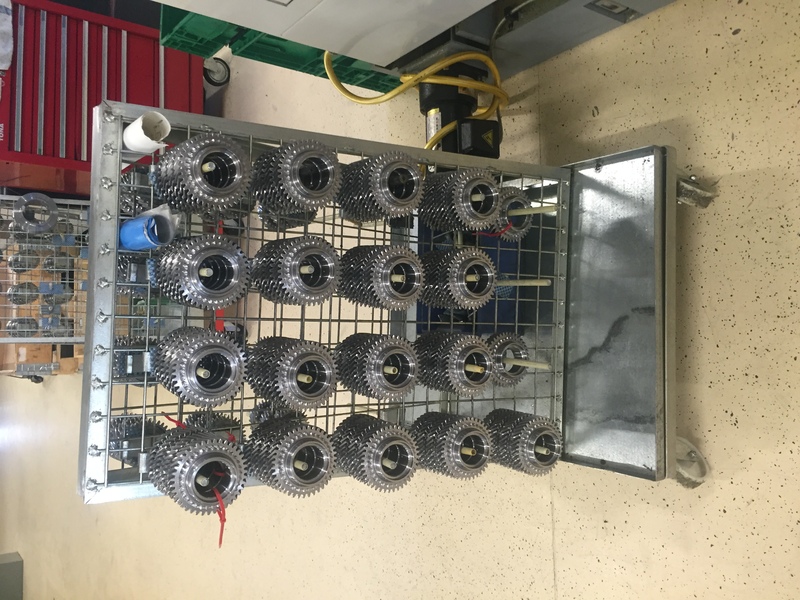 We must complete the last miles in our testing car. Intermediate we are doing a long term test with our sequential 6 speed gearbox. 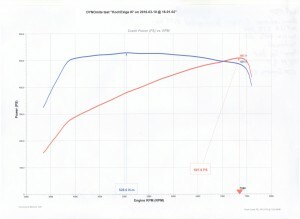 After the great dyno result we maybe downgrade from 6 speed to 5 speed. At 3000 rpm we have 500 NM and we have a useable power band from 3000rpm to redline. 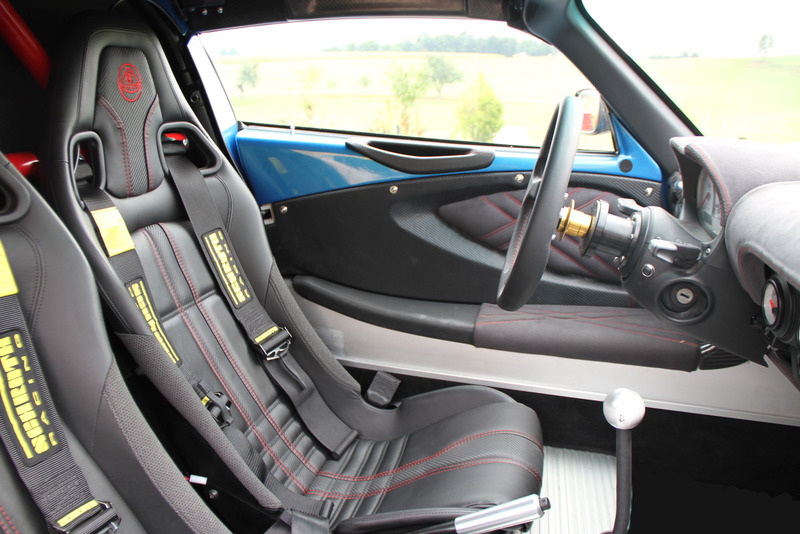 No one need more that 6 gears at this powerful engine/car – maybe 5 speed is faster (and stronger) at the track – we will try it! 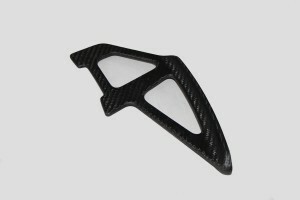 We produce the rear wing mounting brackets from carbon fibre and not from alloy like the OEM parts. Our carbon brackets can also used plug&play and instead of the original one. 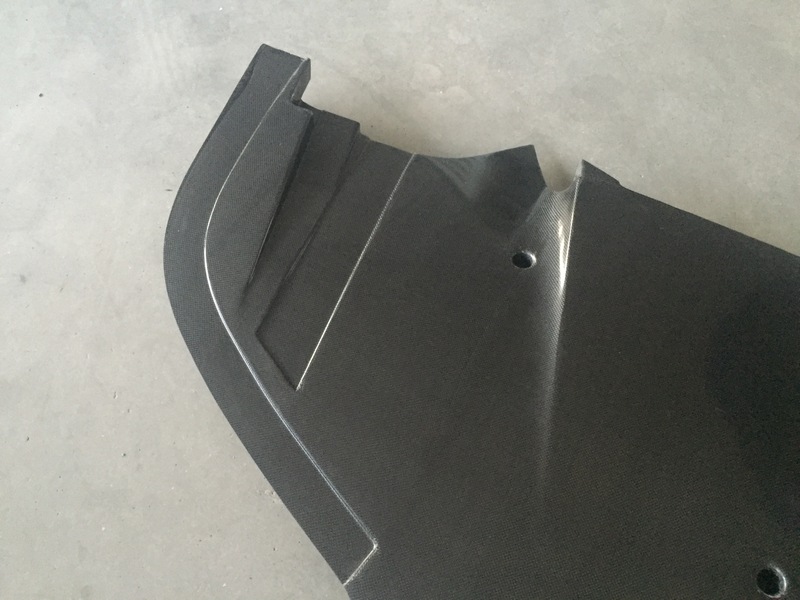 The rear wing is produced in a vacuum injection process and comes out of the mould in this semigloss finish. 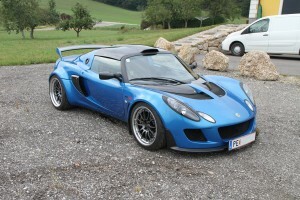 This is a really great product and it looks great at each Elise S2 or EliseS3. 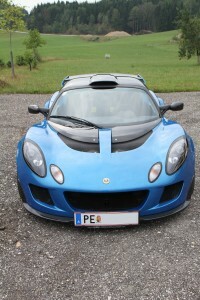 For all Lotus V6 engines (Exige V6 or Evora) . 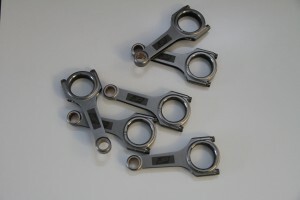 A superlight steel rod with ARP 2000 bolts. Useable up to 1000 hp. We have developed a full working free programable ECU package plug&play to connect directly the original Lotus engine wiring loom. Our upgrade ECU package is working with all CAN systems and communication inside the car. 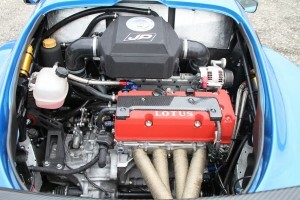 Plug&play ECU Upgrade (free programable) for Lotus Cars. 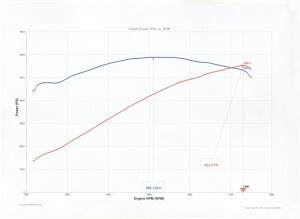 We deliver the ECU package with a full running mapping. 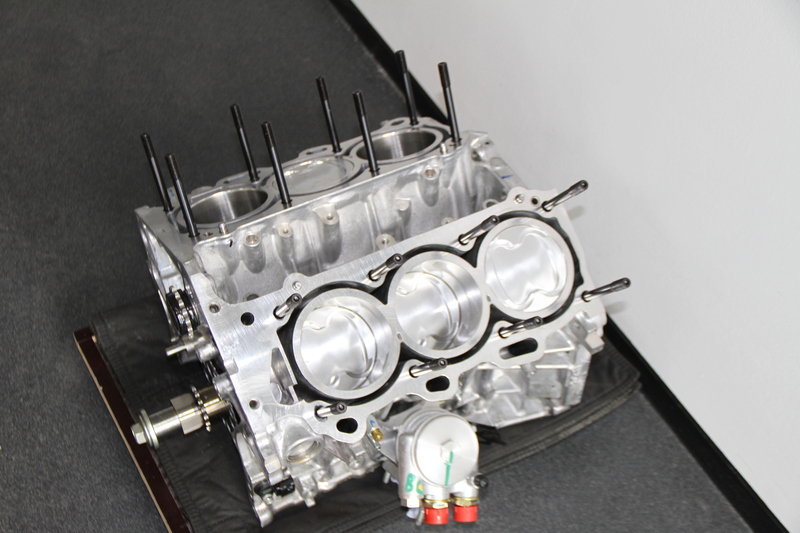 Our new engine upgrade kits are also based on our new programable ECU package. More information, prices and availability you can find shortly at our brand new JUBU-Performance webpage – we will launch it before Christmas 2015! Attached some pictures from the short block for our 550 hp upgrade for the Lotus Exige V6 or Evora. Two race engines (supercharged) are built for a customer in Malaysia. 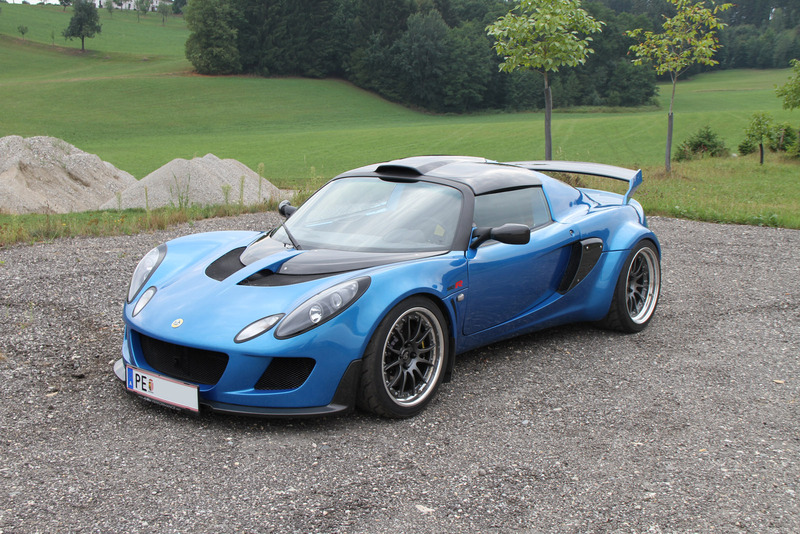 This is a built story about the JUBU Exige 560R. 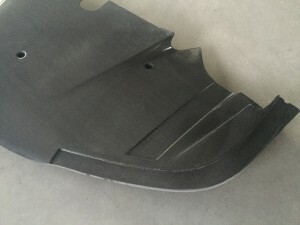 Here some pictures from the ready car. We will update the built story – Stay tuned! The achilles heel of the Evora and Exige V6 Gearbox is the inner gearing. 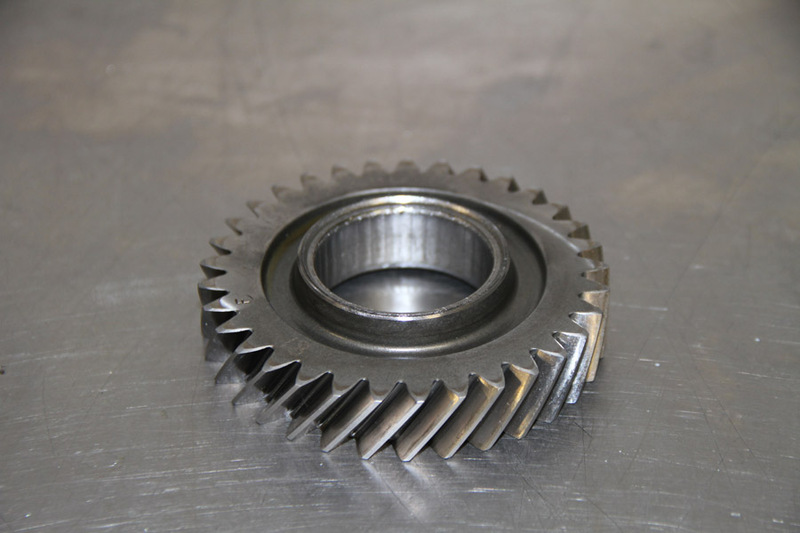 Specially the 4th/5th gearwheel at the input shaft. 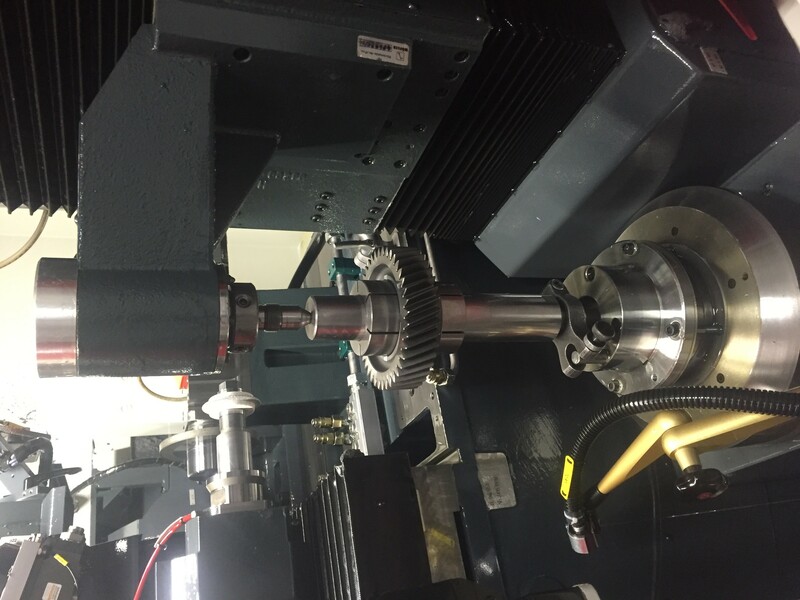 The gearwheel get´s some clearance at the input shaft and if it becomes some load, the inner gearing breaks out and you lose your 4th/5th gear. 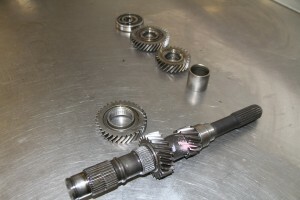 We can repair this issue at each gear for small money. Original Toyota gears aren´t working then they havn´t the correct ratio. If you have some questions please contact us!